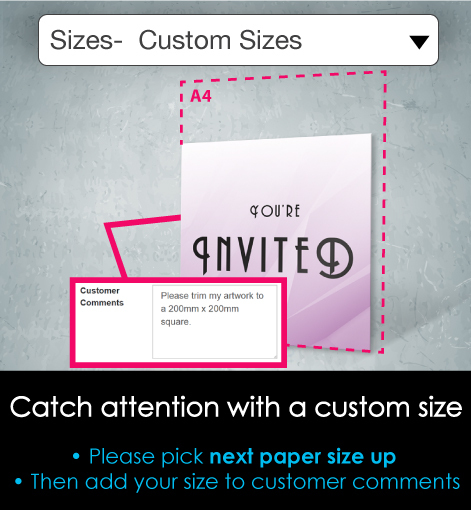 If you need your flyers in less than 24 hours please contact us before ordering. 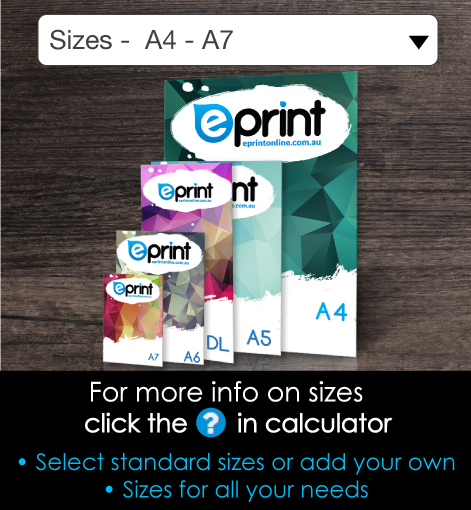 shop.eprintonline provide Printing Services in a convenient Brisbane location. 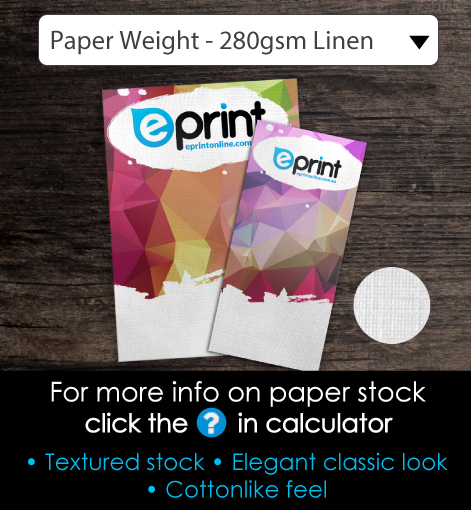 shop.eprintonline has created a business that provides many of the print services under one roof. No matter how organised you are, some situations will always leave you in a rush. Whether you urgently need flyers to promote an upcoming event, a prime piece of real estate or a last minute rally, shop.eprintonline has the answer. 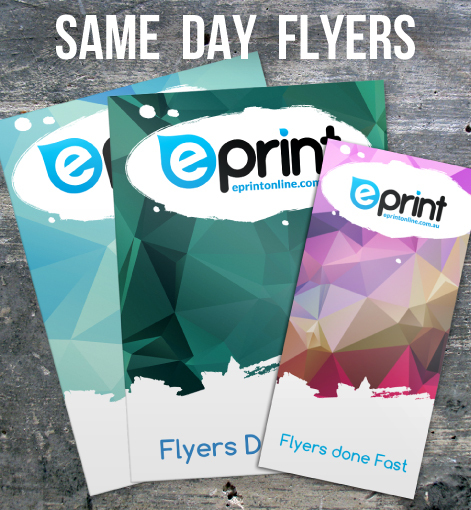 Offering high quality printing services in Brisbane, we’re able to create professional flyers printing services in just 24 hours – ensuring you’re able to promote your cause as soon as possible! 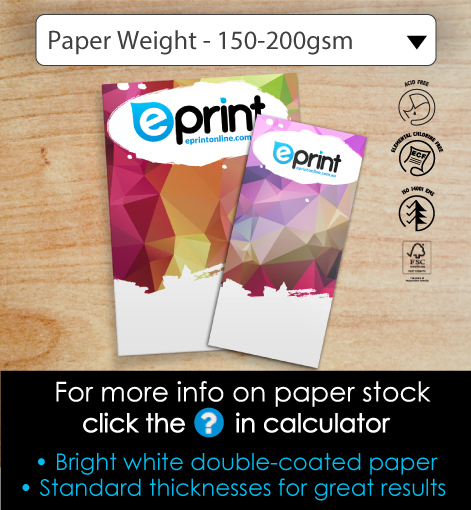 We have both colour and black and white printers, and can print in either gloss or matte finishes. 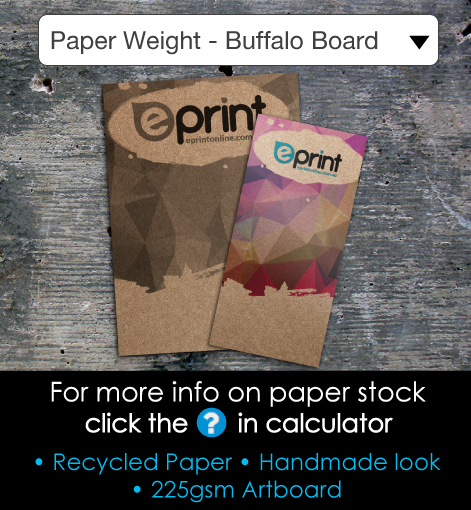 We also offer single and double-sided printing, and our size range is extensive (A3, A4, A5, A6, A7 and DL). If you’re looking for something particularly eye-catching, our Celloglaze (laminate) finish adds a true touch of class. 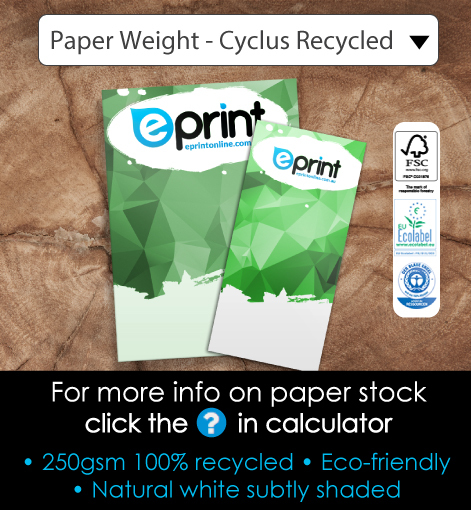 When it comes to paper quality, we have 100gsm, 150gsm, 200gsm, 300gsm and 350gsm matt and gloss stocks to choose from. If you’re looking for a company that offers same day professional printing services in Brisbane, look no further than shop.eprintonline. We can have your flyers ready for collection within 24 hours, or we can send them via courier if required – just let us know that you require our same day service when you order! Exactly what I was after and great quality for a good price! Once again you printed exactly how we wanted in a timely manner. 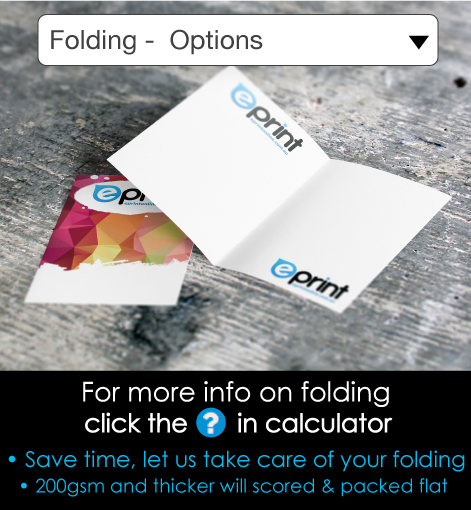 I have been using ePrint for years now, but it still pleases me how easy and consistent the team are with their work. If they say they will get it done, they will ... which is definitely not something to be taken for granted. Thanks team!